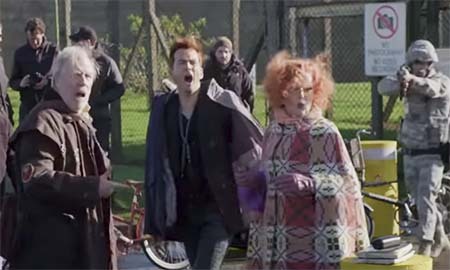 You are here: Home » GENRE » Fantasy » Good Omens (season 1 trailer). A pre-production video at Comic-Con drops us behind the scenes of Amazon Prime’s Good Omens, the new streaming TV series adapted from the fantasy book by Terry Pratchett and Neil Gaiman – said series heading our way in 2019. Good Omens TV show crews up again. « Preacher (Series 3) (trailer).